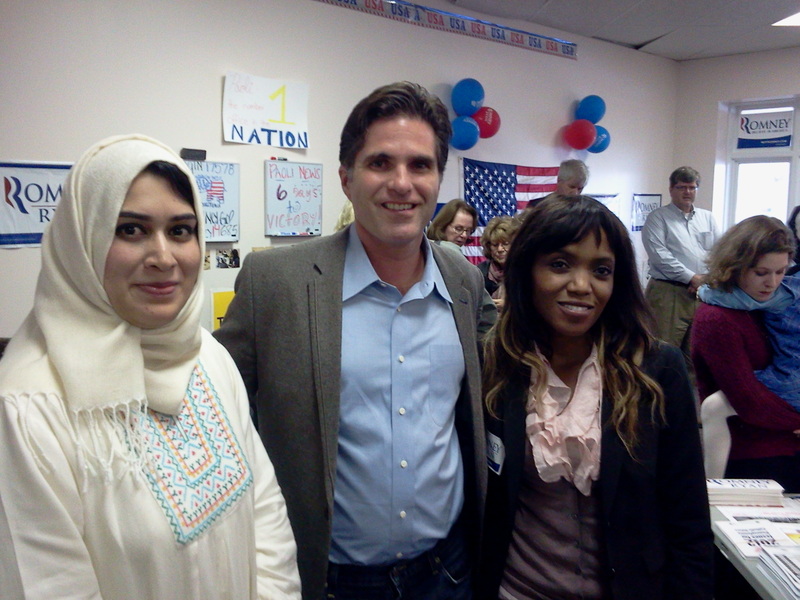 One day in the Fall of 2012 Dr. Yasmeen Al Bulushi walked into Republican election headquarters in Pennsylvania to volunteer for the Mitt Romney campaign. She was visiting the U.S. from Oman as part of a State Department-sponsored democracy training program. Her hosts’ first reaction was one of fear and suspicion fueled by a steady diet of negative news stories from the Middle East. Remember the “axis of evil”? 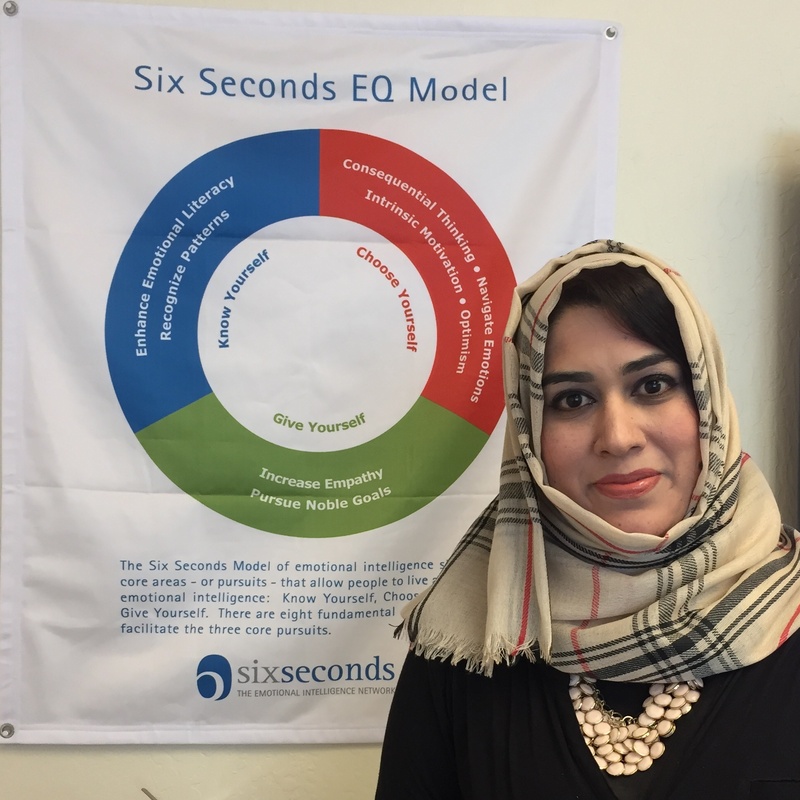 But having trained with Six Seconds, Dr. Al Bulushi hoped she could get beyond the stereotypes and build trusting relationships if given the chance. 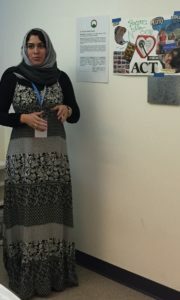 Dr. Yasmeen Al Bulushi is Assistant Dean of Academic Support and Students’ Affairs at the College of Banking and Financial Studies in Oman. She also trains bankers in EQ skills. Oman is a tiny country located at the entrance to the Persian Gulf, directly opposite Iran. Oman, under the rule of Qaboos Bin Said, recently adopted a parliamentary system. 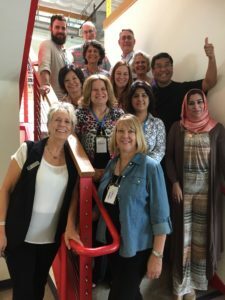 Dr. Al Bulushi says her emotional intelligence (EQ) skills were essential while traveling for two months with the 11-member delegation from the Middle East and North Africa. Dr. Al Bulushi was also the only one of her group to help with the Romney campaign, which she chose in order to challenge herself. At first, she got the cold shoulder from her Republican hosts. 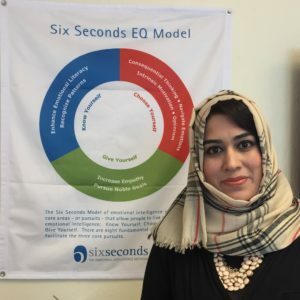 Dr. Al Bulushi says EQ played a key role in helping navigate emotions such as fear and insecurity because she focused on her noble goal of educating people, even in uncomfortable situations. 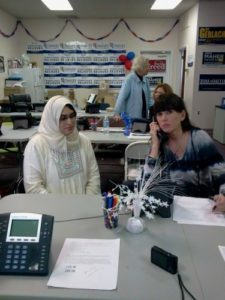 As she gained the trust of her hosts, Dr. Al Bulushi was given responsibility for helping coordinate phone volunteers and keep track of field teams. She also made friends for life. 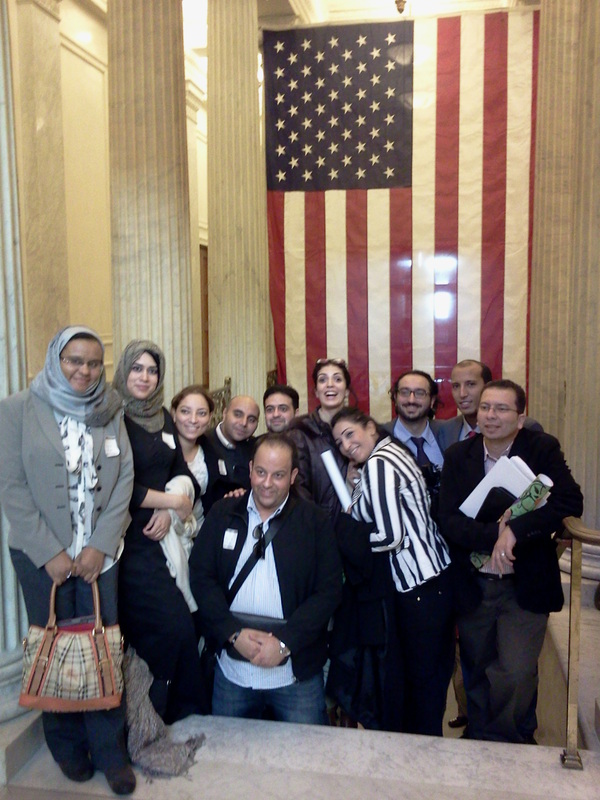 It occurs to me that when we search for those things that are held in common, Magic happens! An awesome reminder for all of us, regardless of who we are or where we are from.